My year-end round up comes down to one last top 10 list: my favorite products of the year. Although it was difficult to narrow down my favorite restaurants of the year, this list definitely ups the ante because I have tried so many fabulous and truly ground-breaking products this year. 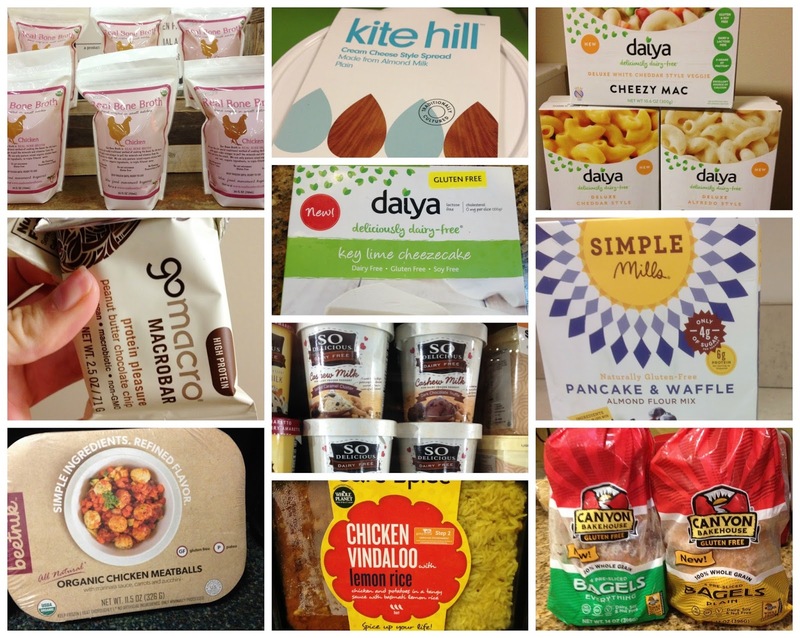 Some I found through gluten-free expos and trade shows and others by keeping my eyes peeled on every grocery run I take. I am really excited to reveal my top ten picks and look forward to a whole year of new products to emerge next year. What will be the next big gluten-free thing? 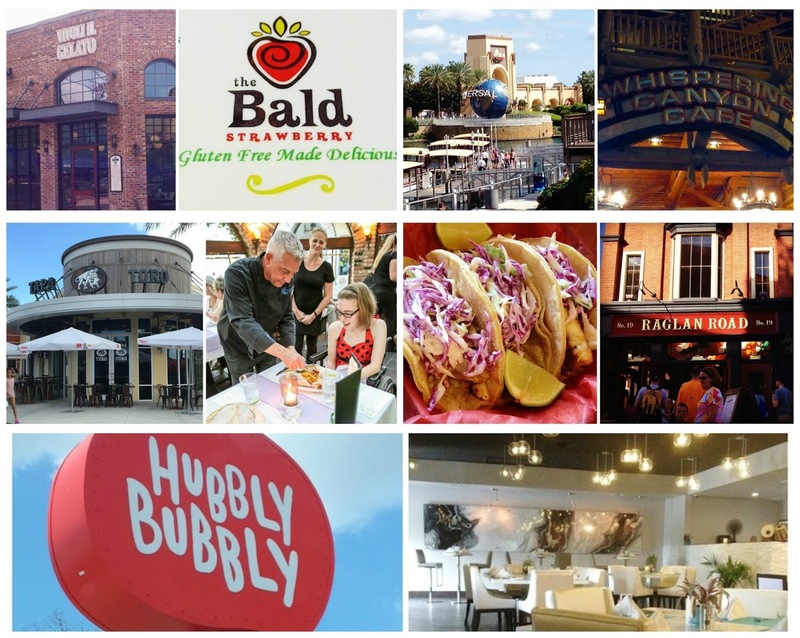 One of my favorite features of Orlando's foodie scene is food trucks: mobile gourmet restaurants on wheels that pop up all over the Central Florida region. Found at farmers' markets, local hotels, and special food truck bazaars that collect dozens in one place, food trucks are easily accessible, but often have limited options for gluten-free diners. Luckily, there are a special few food trucks who work to make sure their offerings are both delicious and gluten-free. Because of them, those with food restrictions can join in on the fun. Although I've found a few trucks in the past (see those here), I was excited to find Pepa's Arepas by way of Sarah from Gluten Free and Dairy Free at Walt Disney World. From afar I couldn't wait to return to Orlando to check out their delicious take on Venezuelan street food. It is hard to believe that 2015 is rapidly coming to a close. As I prepare to welcome in 2016, I cannot help but look at what a year it has been on Eating Out Without Gluten and Dairy. 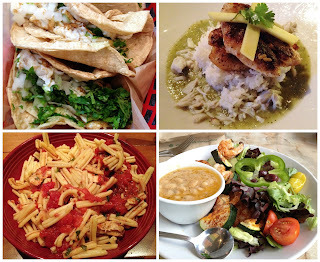 This year marks my blog's first full calendar year in operation, and in the past 12 months I have discovered many a great gluten-free restaurant along the way. As I did last year, I wanted to reflect on the year at was and round up all of the Baltimore restaurants that I have featured on the blog. It definitely was an arduous task to narrow down the best of the best new Baltimore eats, but I think this top ten list is a pretty good representation of the new-to-me restaurants I discovered this year. It's no secret that my favorite of Orlando's "big three" theme parks is Universal Orlando. As a devoted Harry Potter fan, Universal totally won me over with their truly breathtaking recreations of the Wizarding World. However, another feature I really love about Universal is CityWalk, a collection of shops, eateries, and night life venues that ensure a day at the park truly turns into an experience. Since I have been away from Orlando for months, I was way overdue for a trip to my favorite park, especially since my annual pass is expiring early next year. Once my plane touched down in Orlando, my dad and I headed of for a night of wandering around the park and grabbing dinner. After seeing some positive reviews of Vivo Italian Kitchen online, we decided to try it out, as I have been on a gluten-free pasta kick lately. When it comes to restaurants I really enjoyed before gluten and dairy were off limits in my life, the Cheesecake Factory holds a special place for me as it was the go-to place for any special occasion my family would celebrate. Until recently, I had no idea if the Cheesecake Factory was gluten-free friendly because their online menu and website does not have a mention of gluten-free items anywhere. However, some holiday shopping at the Towson mall led me to check out the Cheesecake Factory to see if anything on their massive menu would be safe. I was happy to find that they had plenty of delicious options on hand, and decided to give them a try. Before visiting and reviewing the Cheesecake Factory, I had a really difficult time finding out what, if any gluten-free offerings they had. The only information I could find was pretty outdated and the Cheesecake Factory's own website was decidedly unhelpful in my quest. Luckily, the in-restaurant menu was a lot more informative with symbols to alert to guests which items are gluten-free adaptable on request. Of course it should go without saying that the Cheesecake Factory is a shared kitchen environment and not 100% gluten-free. Make sure when you order that you specify your specific dietary needs with the staff, and ask questions about shared fryers, clean pasta water, and other little things that make big difference in keeping gluten-free food actually gluten-free. 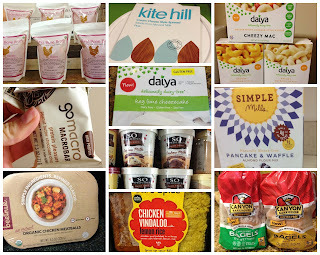 This is the second part of a two-part review covering Our House baking mixes. To see part 1, click here. Back in September at the Natural Products Expo East, Our House baking mixes caught my eye because they were gluten-free, top allergen-free, and vegan. The company generously sent me a sampling of mixes to taste and try, and have been hard at work putting each to the test. This review covers the chocolate brownie mix, pancake and waffle mix, and all purpose four, the three mixes that are the sweetest of the assortment.